Click in the text area to write an edit summary (which should activate the virtual keyboard). Hit "Done" to dismiss the virtual keyboard. 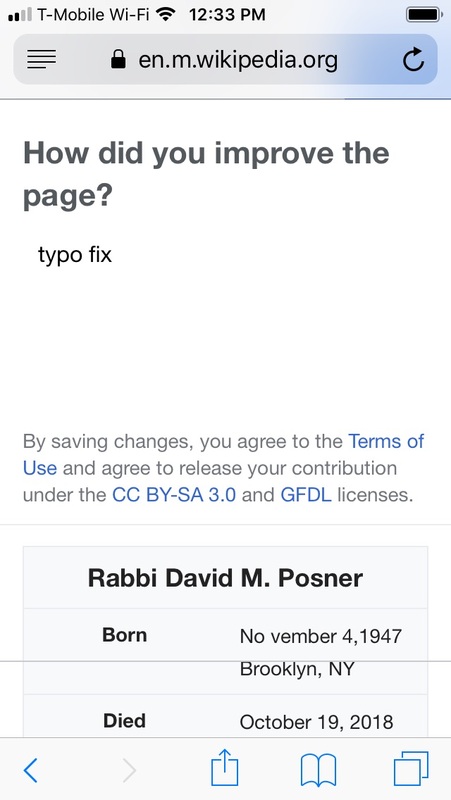 Expected result: You can now click "Save" and finish the edit. Actual result: The "Save" button isn't visible and you can't scroll further up than the "How did you improve the page?" text. If you pinch to zoom out, however, you can get to the button and save. Here's a screenshot. You can't scroll up further than this. Notice also the grey line near the bottom of the screen. Not sure if that's related. May be related to T218062, T211490, and/or T218069, but Rummana suggested I file a separate bug just in case. Here's a graph Ed generated of number of saveSuccess events in iOS. 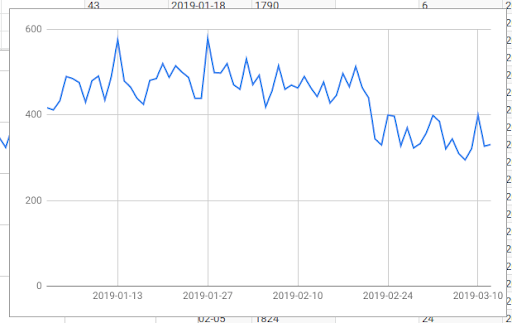 Looks like there was a noticeable drop around Feb 20th, which might be related to this bug. David Lynch hypothesizes that the bug mainly affects iPhones with smaller screens. Stashbot mentioned this in T218062: Dialogs in iOS mobile VE can't be scrolled. Stashbot added a subscriber: Stashbot. Stashbot mentioned this in T172877: Backspace during mobile editing moves viewing window to the top. This should be fixed in production. Can somebody confirm? • Jdlrobson moved this task from Ready for Pick Up to QA on the VisualEditor (Current work) board. Ryasmeen moved this task from QA to Product owner review on the VisualEditor (Current work) board. Trizek-WMF moved this task from To Triage to Announce in next Tech/News on the User-notice board.